The third chapter in Chris Shepherd's world tour opens Saturday. The dips section of the One Fifth menu is called I Dip, You Dip, We Dip. We think Chris Shepherd should invite Freak Nasty for dinner one night. The calendar has turned once again for Chris Shepherd's ambitious One Fifth concept. Tomorrow, he will introduce Houston to One Fifth Mediterranean. 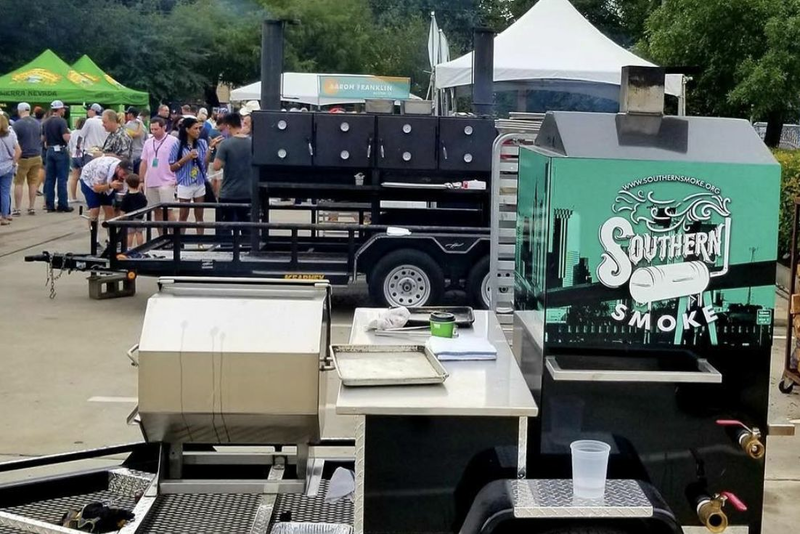 A representative from Underbelly Hospitality says the menu is still being tweaked, but we know a few things right now. Diners should expect an emphasis on food from the Middle East and Northern Africa (more Israeli and Moroccan than Greek). 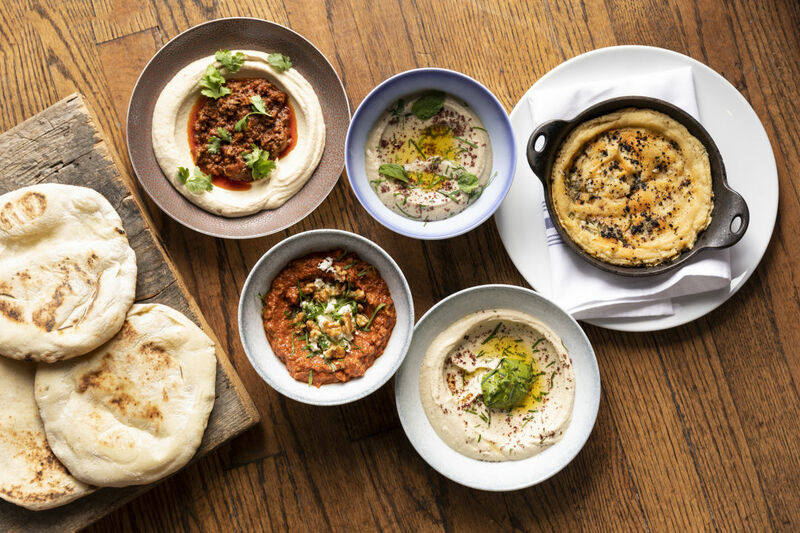 The menu, which will be overseen by chef de cuisine Matt Staph, is divided into seven sections—dips, salads, small plates, wood-burning oven (taboon) dishes, family-style, grains, and condiments like schug, amba, and harissa. 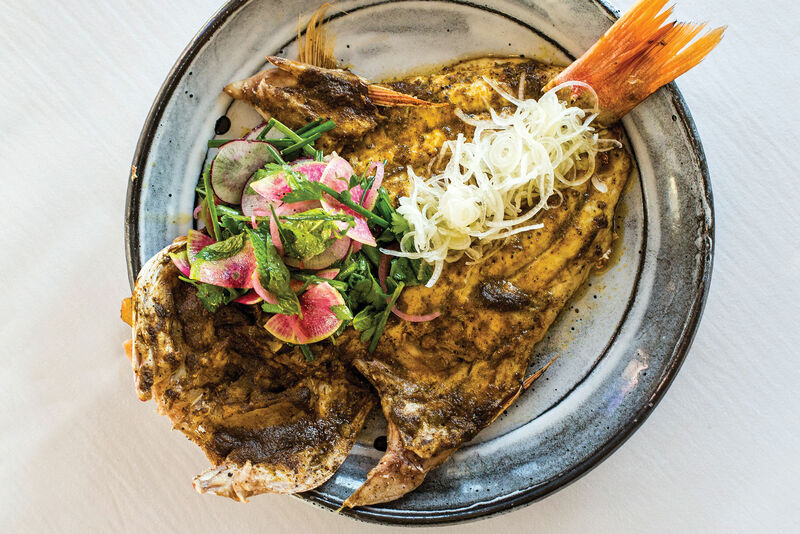 Whole lamb and bycatch are featured, nods to Shepherd's work at Underbelly. The highlight looks to be the fire section, called Al Ha'esh. 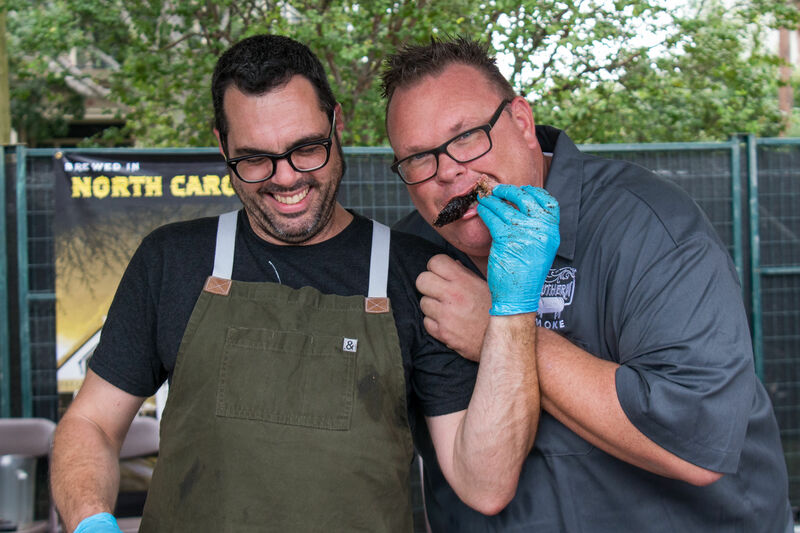 Specialties will include bycatch with hatch chile labneh, flat iron steak with carob molasses, and marinated shiitakes with harissa and crispy bulgur. Elsewhere, Persian rice, kibbeh naya (lamb tartare), and creamy hummus should be popular options. A "sightseeing tour" can be arranged, as well, which is basically a tasting menu combining all the sections. 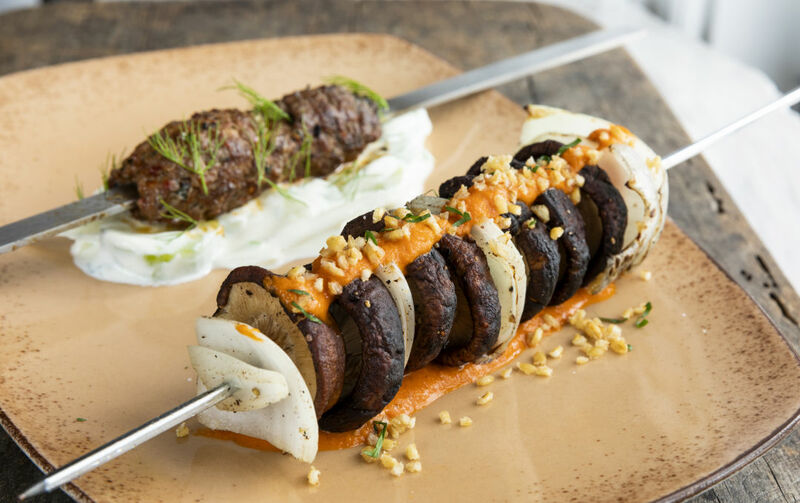 Two offerings from the fire: merguez (spicy lamb sausage with cucumber labneh) and mushroom (black lime-marinated shiitakes with harissa and crispy bulgur). Pastry director Victoria Dearmond will showcase classic dishes like baklava and babka, but with a local twist. Look out, as well, for the mezze plate with chocolate hummus and semolina cake. And to drink, the wine list curated by Matthew Pridgen will include selections from Turkey, Morroco, Israel, and Lebanon. The interior is painted white with textured white tiles and blue trim, plus custom screens displaying Mediterranean-inspired patterns. Research for One Fifth included an Underbelly visit to Philadelphia to meet with Israeli chef Michael Solomonov of Zahav fame. 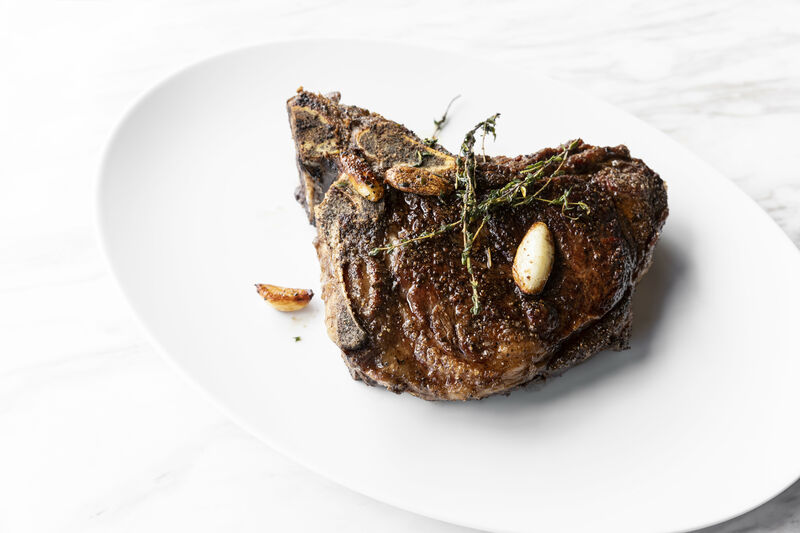 Reservations are now available for One Fifth Mediterranean.